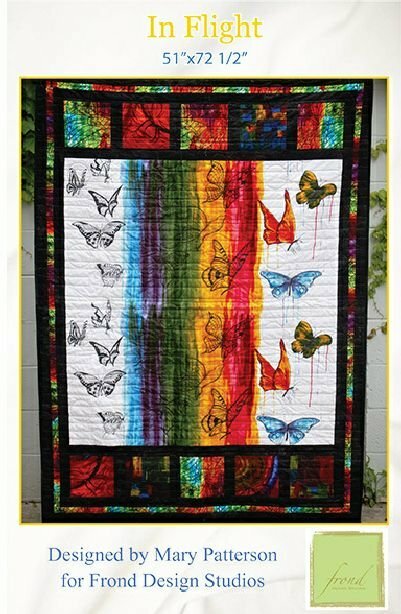 This quilt kit measures 51 x 72.5. It will appeal to the artist in you or perhaps someone in your family. The butterflies are white and they fly through the paint and come out the other side in beautiful rich colors. What fun!!! 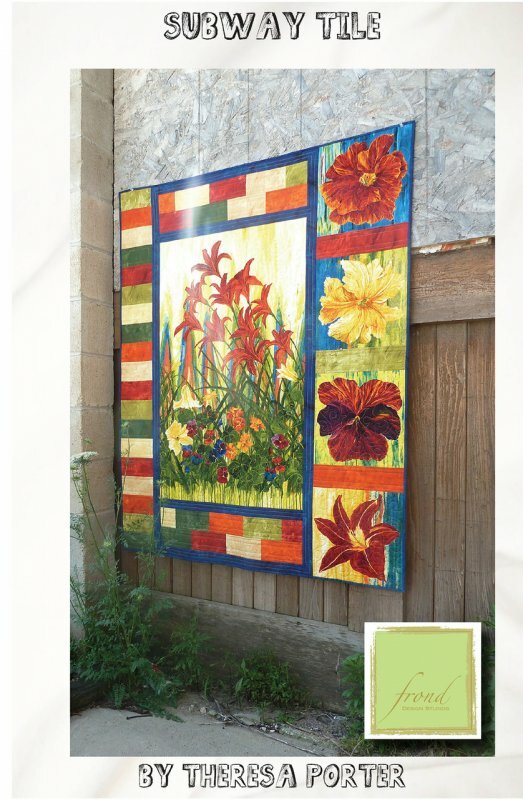 This wall hanging kit comes complete with the backing and binding fabric. All you need to do is add thread and batting.. The colors are bright and happy and would be wonderful hanging in a sun room or as a focal point in any area of your home.